Prominent & Leading Manufacturer from Mumbai, we offer frozen green peas, frozen mix vegetable, frozen strawberry pulp, frozen sweet corn, fresh corn & cobs and frozen mango pulp. Our company is engaged in offering a comprehensive range of Fresh and Frozen Green Peas (IQF), which are mainly cultivated during winters to early-summers. 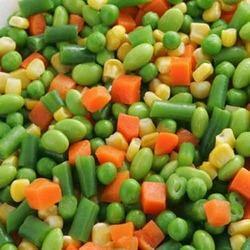 Protein rich green peas have large number of nutrition benefits. They are also high in nutritional value of amino-acids, vitamins and minerals. The Green peas are offered by our organization are processed in hygienic conditions, stored properly and steam blanched for the restoration of sugars and colors. Enriched with enormous industrial expertise and knowledge of this domain, we offer highly nutritional and tasty range of Frozen Mix Vegetable. Free from chemicals and pesticides, the entire assortment offered by us ensures safety, rich taste and high nutritional benefits. Additionally, our esteemed customers can get them from us at highly reasonable prices in quality approved packaging material. We offer mouth-watering Frozen Strawberry Pulp (IQF). We store these pulps under proper ventilation so that its flavor is maintained at the end of delivery. We do quality checking of these pulps before delivering them to clients. We do proper packaging in order to deliver to our valuable clients. 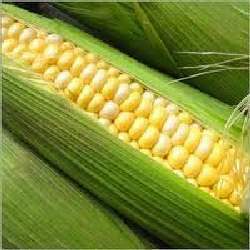 We are considered as a specialist in offering the best quality range of Frozen Sweet Corn. The entire range of corn offered by us passes through stringent quality tests before being approved for final dispatch. These corns are processed in line with the international quality standards set by the industry. Being very tasty and healthy, these corns are highly appreciated by our huge international client base. Sweet corn has vitamin B1, vitamin B5, vitamin C, folate, phosphorus, dietary fiber, and manganese. It has a full array of other nutrients such as sugar, carbohydrates, soluble and insoluble fiber, vitamins, minerals, sodium, amino acids and more. We also offer a high quality of range of Fresh Corn On Cobs (IQF). The entire range is offered as per the diverse needs of our esteemed clients. The wide range of products offered by us is processed in our latest processing unit. We make use of the finest grade corns that are procured form reliable cultivators of the industry. Thus, these corns are widely appreciated in the industry. Corn bran is a heart protector. If you eat low-fat diet plus 20 grams (less than a teaspoon) of corn bran each day for six weeks then it will show 13 percent drop in triglycerides, blood fats that contribute to heart disease. 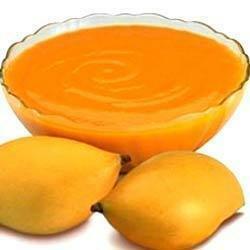 We are captivated in providing a vast assortment of Frozen Mango Pulp (IQF). Prepared naturally with the use of mango, these provided products can be taken from us in sole and bulk orders. Along with this, its richness in nutrients, freshness, efficiency and safe usage makes these a favored customer choice. Along with this, we provide these in supreme quality packaging material to preserve their defect free delivery at the end of our patrons. 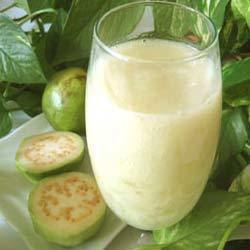 We are also engaged into Delicious Frozen Guava Pulp (IQF). These Guava Pulp is supplied in all parts of the globe with their fresh smell and taste to our loyal clients. We give the best quality services with loyal product to our client and try to satisfy all customer requirement with their taste and quality. and services.